A cream coloured suspension containing 5% w/v triclabendazole. 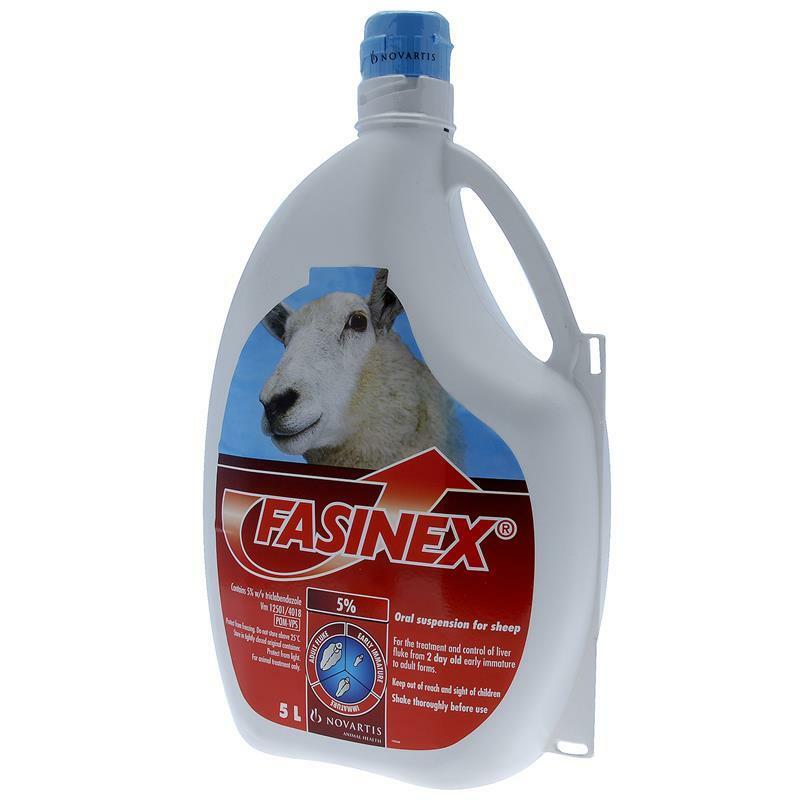 Fasinex 5% is a flukicide for the specific treatment and control of liver fluke (Fasciola hepatica) infections in sheep. When used at the recommended dose rate Fasinex is effective against all stages of triclabendazole susceptible F.hepatica from 2 day old early immature forms to adult fluke. Fasinex can be safely given to young, pregnant or stressed sheep. Recommended dose rate: 10 mg triclabendazole/kg bodyweight i.e 1 ml Fasinex 5 % per 5kg bodyweight. For each additional 5kg add 1 ml dose. Do not administer to animals producing milk for intended for human consumption.